My Blog reader has a problem: “Hi Nenad. I am creating a simple Project with four Tasks. Task 1 is predecessor for Task 2, etc. I do not have a right Schedule, and they all start at the same date. When I hit F9 button everything works fine. How to avoid hitting F9”. The answer is very simple. 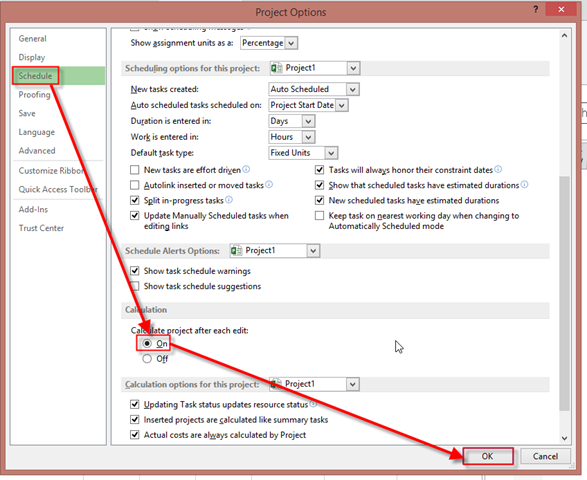 I am going to use Microsoft Project 2013! and you will get what you wanted without F9 button! This entry was posted in MICROSOFT PROJECT, Microsoft PRoject 2010, Microsoft Project 2013, MS PROJECT 2010, PMI, PRoject Management and tagged Microsoft Project 2010, Microsoft Project 2013, Microsoft Project 2013 - Scheduling. Bookmark the permalink.